1. IDENTIFICATION OF THE SUBSTANCE / PREPARATION AND OF THE COMPANY / UNDERTAKING 1.1.Product identifier Product name: SES Trade name: SES Product type: Liquid EEC-no. 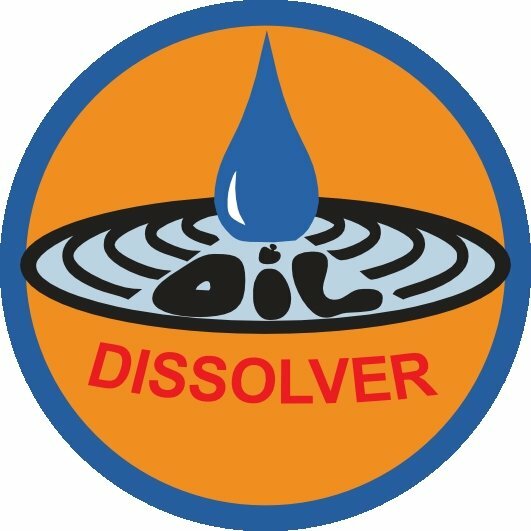 1907/2006 1.2.Relevant identified uses of the substance or mixture and uses advised against Vegetal preparation for the decomposition of oil and its products in marine environment 1.3.Details of the supplier of the safety data sheet Oil Dissolver Company Am Lüßelsfeld 16, 27412 Breddorf, Germany E-mail address of person responsible for this MSDS: info@oildissolver.de 1.4.Emergency telephone number (with hours of operation): ++49 4285 555 1953 2. HAZARDS IDENTIFICATION 2.1.Classification of the substance or mixture Classification according to Regulation /EEC) No. 1272/2008, (including amendments): Not classified Classification according to EU Directives 67/548/EEC and 1999/45/EC (including amendments): Not classified 2.2.Label elements Labeling in accordance with Directive 1999/45 (DPD) and with and Regulation (EC) No 1272/2008 Hazard symbol(s): Not required Risk phrase(s): Not classified Safety phrase(s): Not required 2.3. Other hazard None 3. COMPOSITION / INFORMATION ON INGREDIENTS 3.1.Substance / preparation Product / Ingredient nameIdentifiers%EU ClassificationGHS Classification EthanolCAS number: 64-17-5 EC number: 200-578-60,03F; R11Flam. Liq. 2; H225 Hydrogen peroxideCAS number: 7722-84-1 EC number: 231-765-00,03O; R8 Xn; R20/22 C; R35 ROx. Lq. 1; H271 Acute Tox. 4; H332 Acute Tox. 4; H302 Skin Corr. 1A: H314 Tincture extraction of seaweed (1:3)CAS number: N/A EC number: N/A0,015-- SulfurCAS number: 7704-34-9 EC number: 231-722-60,0018Xi; R38Skin Irrit. 2; H315 energized WaterCAS number: 7732-18-5 EC number: 231-791-299,92Not classifiedNot classified Occupational exposure limits, if available, are listed in section 8. See section 16 for the full text of the R-phrases declared above. 4. FIRST AID MEASURES 4.1.Description of first aid measures Inhalation: Remove from site of exposure to fresh air. Skin contact: In case of contact with skin wash off with soap and water Eyes contact: In case of contact with eyes, rinse thoroughly with plenty of water Ingestion: Wash mouth thoroughly with plenty of water 4.2.Most important symptoms and effects, both acute and delayed N/A 4.3.Indication of any immediate medical attention and special treatment needed Notes to physician: No specific antidote. All treatments should be based on observed sign and symptoms of distress in the patient. Consideration should be given to the possibility that overexposure to materials other than this product may have occurred. 5. FIRE-FIGHTING MEASURES 5.1.Extinguishing media Suitable: Use water spray, alcohol resistant foam, dry chemical or carbon dioxide. Not suitable: N/A 5.2.Special hazards arising from the substance or mixture N/A 5.3.Advice for fire fighters N/A 6.ACCIDENTAL RELEASE MEASURES 6.1.Personal precautions, protective equipment and emergency procedures N/A 6.2.Environmental precautions N/A, bee-friendly, environmentally friendly 6.3.Methods and materials for containment and cleaning up Dilute with water Large spill: as for small spill 6.4.Reference to other sections See Section 1 for emergency contact information. 7. HANDLING AND STORAGE 7.1.Precautions for safe handling N/A Hygiene Measures: N/A 7.2.Conditions for safe storage, including any incompatibilities Storage: Store well in a cool place. Keep container tightly closed. Store at room temperature between +5 to 35°C and keep away from reach of children 7.3.Specific end use(s): N/A 8.EXPOSURE CONTROL / PERSONAL PROTECTION 8.1.Control parameters Occupational exposure limit values: Ingredient nameOccupational exposure limits EthanolACGIH.TLV 1000 ppm (STEL) Hydrogen peroxideACGIH-TLV 1 ppm (TWA) 8.2.Exposure controls 8.2.1.Engineering Measures Use process enclosures, local exhaust ventilation, or other engineering controls to keep airborne levels below recommended exposure limits. If user operations generate dust, fume or mist, use ventilation to keep exposure to airborne contaminants below the exposure limit. 8.2.2.Person Protective Measures Eye/face protection: glasses Skin protection: working gloves Respiratory protection: N/A Hand protection: gloves 8.2.3.Environmental exposure controls: N/A 9.PHYSICAL AND CHEMICAL PROPERTIES 9.1.Information on basic physical and chemical properties Appearance : clear liquid Odour : N/A Odour threshold : N/A pH-Wert : 6,9 Melting point/freezing point : N/A / -18 °C Initial boiling point/boiling range : 100 °C Flash point : N/A Evaporation point : N/A Flammability : N/A Upper/lower flammability or explosive limits : N/A Vapor pressure : N/A Vapor density : N/A Relative density (15 °C) : 0,995 kg/l Solubility(ies) : N/A Partition coefficient Octanol/water: N/A Auto-ignition temperature: N/A Decomposition temperature : 100 °C Viscosity (20 °C) : 2.348 cst Explosive properties : N/A Oxidizing properties : N/A 9.2Other information TOC (mg(l): > 20 10.STABILITY AND REACTIVITY 10.1.Reactivity No specific test data related to reactivity available for this product or its ingredients. 10.2.Chemical stability The product is stable under normal handling and storage conditions described in Section 7. 10.3.Possibility of hazardous reactions Under normal conditions of storage and use, hazardous reactions will not occur 10.4.Conditions to avoid Heat, extremes of temperature and direct sunlight. 10.5.Incompatible materials N/A 10.6.Hazardous decomposition products N/A 11.TOXICOLOGICAL INFORMATION 11.1.Information on toxicological effects Acute toxicity:Product/ingredient nameTestSpeciesDose EthanolLD50, oralRat7060 mg/kg Irritation:N/A Corrosivity:N/A Sensitization:N/A Repeated dose toxicity:N/A Carcinogenicity:N/A Mutagenicity:N/A Toxicity for reproduction:N/A Other effects:N/A 12.ECOLOGICAL INFORMATION 12.1.Toxicity Substance nameToxicity to crustaceans S.E.S.Marine shrimp, LC50/6h, 1000 ppm According to CEDRE (Centre of Documentation, Research and Experimentation on Accidental Water Pollution) 12.2.Persistence and Degradability: N/A 12.3.Bioaccumulative potential: N/A 12.4.Mobility in soil: Soil/water partition coefficient (Koc): N/A 12.5.Results of PBT and cPvB assessment: N/A 12.6.Other adverse effects: N/A 13.DISPOSAL CONSIDERATIONS 13.1.Waste treatment methods Product: Waste must be disposed of in accordance with federal, state and local environment control regulations Packing: Empty containers should be taken for local recycling, recovery or waste disposal 14.TRANSPORT INFORMATION 14.1.UN-Number 14.2.Proper shipping name: ADR/RID: not regulated IMDG-Code / ICAO-TI / IATA-DGR: not regulated 14.3.Transport hazard class(es) ADR/RID:- IMDG:- IATA:- 14.4.Packing group: ADR/RID:- IMDG:- IATA:- 14.5.Environment precautions for user: N/A Marine Pollutant: N/A 14.6.Special precautions for user: N/A 14.7.Transport to bulk according to Annex II of MARPOL 79/78 and the IBC Code N/A 15.REGULATORY INFORMATION 15.1.Safety, health and environmental regulations/legislation specific for the substance or mixture EU Directives 67/548/EEC and 1999/45/EC (including amendments) EU Regulation (EC) No. 1907/2006 (REACH) and Regulation (EC) No 1272/2008 (CLP) 16.OTHER INFORMATION Full text of R-phrases referred to in section 3: R8: Contact with combustible material may cause fire R20/22: Harmful by inhalation and in contact with skin R35: causes severe burns R5: Heating may cause an explosion R11: Highly flammable R38: Irritating to skin Full text of Hazards Statements referred to in section 3: H225: Highly flammable liquid and vapour H271: May cause fire or explosion; strong oxidizer H302: harmful if swallowed H332: harmful if inhaled H314: Causes severe skin burns and eye damage H315: Causes skin irritation Training advice: Before using/handling the product one must read carefully present MSDS Recommended restriction: N/A 17.Key Legend Information ACGIH - American Conference of Governmental Industrial Hygienists OSHA - Occupational Safety and Health Adminstration NTP - National Toxicology Program IARC - National Agency for Research on Cancer ND - Not Determined N/A - Not Available R-Phrases - Risk Phrases S-Phrases - Safety Phrases Date of issue :FB1760_05A 03/01/2014 The information herein is based on the present state of knowledge. It is believed to be correct but is not necessarily all inclusive and shall be used only as a guide.